You decided to sell your home, whatever the reason or motivation. You hire a real estate agent and in this hot market your agent recommends getting a home and pest inspection prior to listing your home. Why? Isn’t that something a buyer is going to do anyways? Why should you spend the money up front? All good questions with all good answers. Mainly, the answer really lies in how prepared and further ahead of your competition you want to be. Even with a newer home, things will start to fall apart or get damaged and you may or may not even realize they have occurred. With an older home, it is almost a guarantee that things will need some level of repair or are now not to code or current building standards. A typical home inspection will list items as follows: safety observations, items needing attention and items needing maintenance. Addressing the safety items is very important whereas it is prudent to address the others and certainly will make your home more marketable. Below is a list of the pros and cons of performing inspections (and making necessary repairs) prior to going on the market. A home and pest inspection will locate and identify issues so that they can be addressed prior to going on the market. In real estate transactions, sometimes the little things can make all the difference in a buyer’s decision. When you can show the inspections and the evidence of repair, it not only makes your house look more desirable, but it sends a message to the buyer that you are a proactive and attentive seller. Buyers will have more confidence in your home, especially knowing safety items have been fixed and there is little to repair upon purchase. 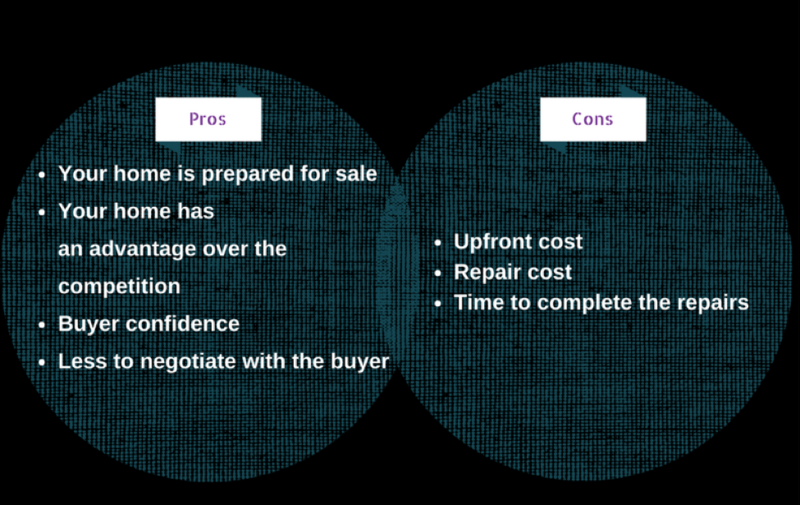 When a buyer is deciding between similar properties, having that confidence can be a deciding factor. Additionally, there will be less to haggle over in a request for repairs, which takes a burden off you as a seller and the buyer as well. Essentially, no big surprises. 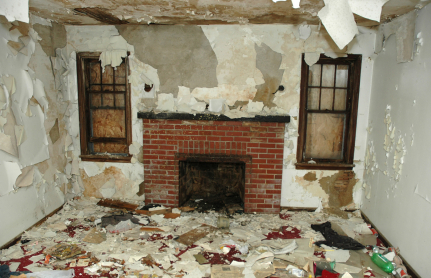 Inspections do have an upfront cost as do the repairs you decide to make. Consulting with an experienced real estate professional can help you decide what repairs will make your home more marketable and certainly the ones which will be asked for by a buyer. Real Estate is its own little war. Make sure you are prepared and it will lessen your chance of defeat and help you gain a victory. Check out the full article in the Mercury News here. Here is my latest column as published in the Homes section of San Jose Mercury News papers! Last weekend I collaborated with JK and Scott Watson, a terrific mom-and-pop real estate team from Fremont. The Watsons are representing a husband and wife in their 60s who have owned their current home for more than 50 years and pay only $1,000 in annual property taxes. Because they are also caring for much older parents, the clients want to move to a newer, single-story home. Trouble is, downsizing locally will be difficult without sacrificing home size or location, not to mention the clients' initial worry over taxes. As a broker and Realtor® east of Sacramento in El Dorado Hills, I love working with people like the Watsons’ clients, who get to improve their lifestyle by taking advantage of some California tax laws. Through Proposition 60 and Proposition 90, many homeowners can transfer the benefits of Prop 13’s locked-in assessed property values (and correspondingly lower taxes) when replacing their primary residence. Under Prop. 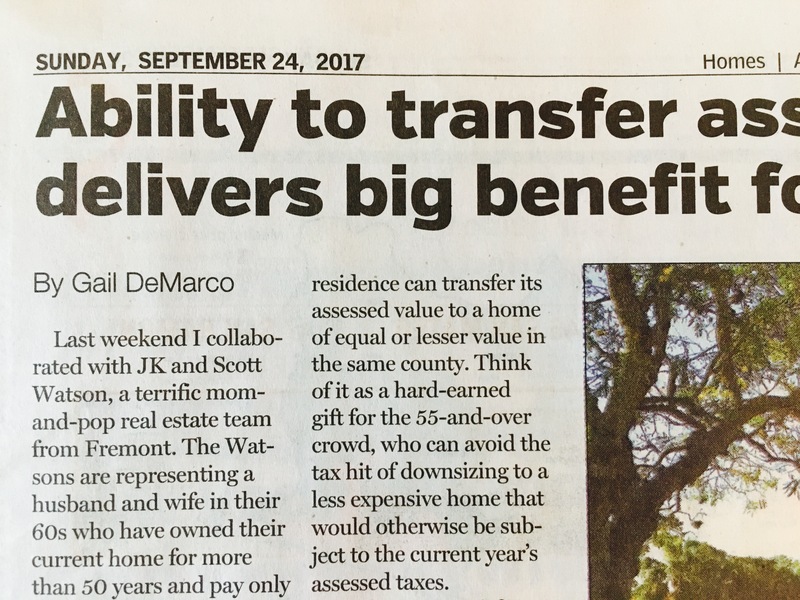 60, for starters, homeowners 55+ or permanently disabled who sell their primary residence can transfer its assessed value to a home of equal or lesser value in the same county. Think of it as a hard-earned gift for the 55+ crowd, who can avoid the tax hit of downsizing to a less expensive home that would otherwise be subject to the current-year’s assessed taxes. As the Watsons’ clients are realizing, however, it’s not easy to find a suitable replacement home in the Bay Area. Enter Prop 90, which allows homeowners to transfer their assessed value to a replacement home of equal or lesser value in one of 11 California counties that accept incoming “intercounty base year value transfers.” In those counties – Alameda, El Dorado, Los Angeles, Orange, Riverside, San Bernardino, San Diego, San Mateo, Santa Clara, Tuolomne and Ventura – eligible buyers can purchase a replacement property of equal or lesser value and transfer the assessed valuation of the primary home they sold in another county. Prop 90 creates remarkable opportunities for people 55+, many of whom are approaching major life changes. For some, downsizing means finding a more comfortable home and saving for the unknown. For others, it may mean purchasing greater luxury for less money or buying a smaller primary residence while investing in a vacation home. As an El Dorado County Realtor®, I love meeting brokers and agents like JK and Scott, whose Bay Area clients can put their home equity toward genuine luxury and long-term financial security. Sacramento bedroom communities such as El Dorado Hills and Cameron Park offer top-quality new construction plus access to cultural amenities, healthcare and great schools, all of which contribute to long-term value. Even better? El Dorado County accepts buyers’ Prop 90 intercounty base-year transfers. A final note: In most situations, the replacement-home benefit can be used only once. Before claiming the Prop. 60 or Prop. 90 benefit, make sure your replacement home is going to be your “it” home – your last planned primary home. Your Realtor®, your local real estate board or your assessor’s office can provide more information. Here is my latest newspaper (and online) column! It's a joy to share some of my expertise on a regular basis with readers of Bay Area News Group publications such as the San Jose Mercury News, Contra Costa Times and more. Please send me your column ideas! Your cat’s veterinarian might also be a home inspector. Your favorite barista? She might be planning to pick up an extra $1,500 a month completing inspections. In California, all that each of them has to do is take an online class and pass an exam to become certified. It’s important, therefore, to know that there is a significant difference between a “certified” home inspector and a “licensed” home inspector. In fact, California is one of 13 states that doesn’t require inspectors to obtain a state-issued home inspector’s license. And although I’m not a big fan of overregulating businesses, this particular lack of oversight worries me on behalf of my clients. It also gives me a good reason to encourage vigilance when choosing an inspector. Even after a bidding war, when a buyer may be tempted rush through the inspection process for fear of losing the house to queued-up offers, the inspection is no time to rush. As a Sotheby’s Realtor® and Broker in the Sacramento area, my team and I work with a good balance of buyers and sellers. I’d never represent both seller and buyer in the same transaction, but I’ve seen enough inspection reports from both perspectives to know which ones have holes big enough to drive a moving van through them. A few key questions and observations can help you distinguish true professionals from those who are no more qualified than an easy certification requires them to be. For starters, collect two or more recommendations from your Realtor® and seek others, paying attention to reviews. Note which professional associations each inspector has joined. Full members in good standing with the nonprofit California Real Estate Inspection Association (CREIA), for example, are active members of the trade who go above and beyond certification requirements. In addition to 30 hours a year of continuing education, CREIA members must have completed mentorship programs; performed at least 250 paid home inspections; and passed the National Home Inspectors Examination. Request – and read – at least two inspection reports from each candidate. Ask for explanations about confusing or “not inspected” items. I’ve seen reports in which an inspector couldn’t find the furnace and therefore didn’t inspect it. Another didn’t inspect the water heater because there was too much storage stacked in front it. Yet another tried to scare the buyer and seller about a leaky shower head, claiming there might be mold in the wall. He said he’d be happy to fix for them. In that instance, the inspector crossed the line from unacceptable to unethical. Although the best home inspectors have worked previously as contractors or builders, beware the inspector who offers to fix – for a separate cost – items discovered during inspection. Per California law, it is unethical for any home inspector to perform or offer to perform, for an additional fee, any repairs to a structure on which the inspector or the inspector’s company, has prepared a home inspection report in the past 12 months (California Code, BPC § 7197). Attend the inspection and choose someone who plans to describe in detail every point on their report. Finally, take your time. Be sure to tell your Realtor® if you’re uncomfortable with your inspector. We’re only as good as the references we give for the professional services our clients need. You can reach broker associate Gail DeMarco of Nick Sadek Sotheby’s International at 916-220-5700, gail@gaildemarco.com or at gaildemarco.com. What's in Carmichael? Let me show you! We’re so excited by our new luxury listing in Carmichael that we wanted to share a few of the unique things to do in this community just East of Sacramento. 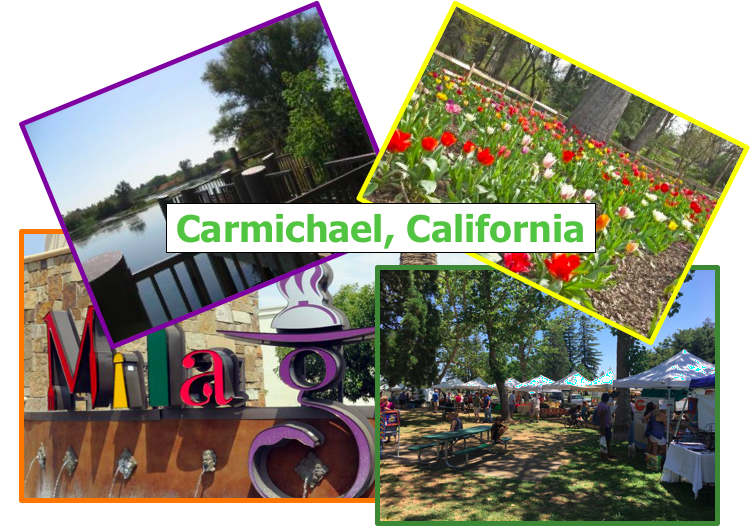 Besides its easy proximity to Sacramento and only a half-hour drive to Folsom Lake, there is plenty to enjoy right in and around Carmichael! The Chamber of Commerce, some local park districts, commercial real estate developers, and community foundations are encouraging smart growth that enhances the lifestyle of this Sacramento bedroom community. Here are a few things to enjoy before or after you visit us for our open house at the beautiful 6809 Stanley Avenue this weekend. The home is open Saturday, October 28, from 12-4pm! Jensen Botanical Gardens: This 3.5 acre garden was founded in 1958 by Charles C. Jensen, after he and his wife moved from Oakland their new property in Carmichael. Over time, Jensen gradually cleared the land and began planting the many Magnolias, Azaleas, Dogwoods and Japanese Maples. A part of the Carmichael Recreation and Park District since 1976, the gardens feature a Nature Path for the Blind as well as terrific areas for taking family photographs surrounded by fall foliage. Open 8am to dusk daily: 8520 Fair Oaks Blvd. Classic, neighborhood sports bar and grill with good breakfast, lunch dinner and late-night grub, libations, a friendly vibe, and plenty of games to play or watch on TV. Live music frequently. Halloween party on 10/28! Open 9am – 2am: 5150 Fair Oaks Blvd. Much like all things in life, real estate is filled with “what ifs”. When you are buying a home, the “what ifs” are handled, or at least alleviated, through contingency contracts. A contingency is a statement that is added to your contract that allows you the right to back out of the deal without forfeiture under specific circumstances. Contingencies are often used by buyers who are not 100% confident they are ready (or capable) to buy the property, and want some extra time to decide. They protect you from losing earnest money and give you an advantage to get the seller to help you deal with any issues that might arise. 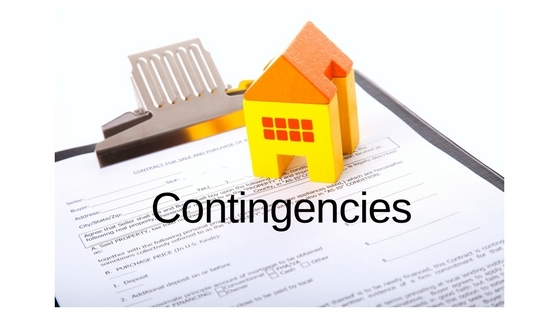 As a buyer, contingencies are pleasant because they usually work to the buyer’s protection. This contingency says that the Buyer has set amount of time (often ranging from 3-14 days), where they can do whatever they need to do to ensure that they want to buy the property. This might include inspections, appraisals, contractor walk-throughs, etc. If at any time within that inspection period the Buyer chooses to back out of the deal for any reason, they can. Do I have any chance getting my offer accepted if mine is contingent? While adding complexity to the transaction, buyer’s contingencies are ultimately what make deals happen. Without them, most buyers and sellers would be unable to find the common ground required to mutually commit to the transaction. The key is that even when contingencies are used, the goal is not to use it to back out of the deal; rather, use it to revisit the original deal and try to come to a reasonable compromise that resolves the issue(s) and makes both parties happy. Scott, J. (2014, November 24). Real Estate Contract Contingencies and 4 Rules for Using Them. Retrieved July 05, 2017, from https://www.biggerpockets.com/renewsblog/2010/03/31/contract-contingencies-and-4-rules-for-using-them/Folger, J. (2017, February 19). Home Warranties…Worth it or a Waste? Nothing escapes the ravages of time, especially the mechanical and structural components of a home. Eventually Father time comes calling or plain bad luck comes into play. If you have ever owned a home, you are all too aware of this fact. It would be great to have some assurance that you will have some help when the inevitable happens, as many items and systems within a home are quite expensive and our daily lives depend on their function. Home warranties have become part of many real estate transactions for this very reason. For a new build, the builder typically has warranties for a certain timeframe to assure their buyers, but for a resale home this is not the case. An aging home and the items in it can have buyers seeing a swirl of additional dollar signs when they consider, “How long until that dishwasher breaks?” Purchasing a home warranty can ease the fear of your buyer and make a home sale more appealing. If the seller does not purchase one, a buyer may want to do so themselves. A home warranty differs from your homeowner’s insurance, which is required by your lender. Homeowner’s insurance covers loss or damage from fire, water, wind or other covered events. A home warranty is essentially a year-long service contract. It will repair, and if necessary, replace items due to wear and tear. Sounds too good to be true, right? Here are some things to consider. • The initial cost is anywhere from $350-500/year for a basic contract (company and coverage dependent). o Typically covers kitchen appliances, plumbing, water heater, furnace, sump pump, whirlpool tubs, ect. o Enhanced plans, which add to the basic cost, cover specified items such as pool/spa, washer/dryer, air conditioner, refrigerator, garage doors, septic, ect. • There is a service call charge each time a technician comes out to evaluate a claim. This usually starts around $60 and the home owner is responsible for the charge. o If they determine the problem is not covered under your plan, you still pay the service call fee. o It may be cheaper to fix small items yourself. • If the technician determines the problem is due to improper or lack of maintenance, the home warranty will not cover the cost to fix the problem. You still pay service call fee. o You may want to find out if items, such as the HVAC, had regular maintenance prior to the purchase of a home. On that note, you should have regular maintenance performed on certain items in your home. • You are required to use the home warranty company’s contracted technicians, whether you like them or not. • There is usually a maximum dollar amount covered. If the repair or a replacement costs more than the maximum, you are responsible for the balance. o If you have high end appliances or a furnace that fails, this can still cost you a lot. Think of the home warranty as a coupon in this circumstance. • A home warranty can claim too much wear and tear or that an item was originally installed incorrectly and they won’t cover the item. Here is the take home message: A home warranty can save you money on repairs and replacements so long as the item has been maintained and installed properly. Be sure to know what is covered in your contract and for what dollar amount. Home Warranty companies get a lot of complaints because there is a misconception of what they do. Many people are under the impression they are completely covered for all repair costs and full replacements under the warranty and when their claims are denied or fractionally covered, it can be extremely frustrating. As with anything, fully vet the company. In 32 states home warranty companies are required to be registered or licensed with the State Insurance Commission. You can check their records with the State and their Better Business Bureau Rating. Even if the home warranty is purchased for you by a seller, it is a good idea to educate yourself and be prepared to burden a portion of the repair/replacement cost. Something is better than nothing and for small repairs, a home warranty can be very financially helpful. Thanks for reading. I would love to hear your comments. I have been seeing a lot of Pool Construction Trucks driving through town this week. The hint of warmer weather and lack of rain are starting the itch to get a pool built before those unbearably hot days of Sacramento heat. If you are like me without a pool, you may have pool envy. Let’s face it, pools are expensive to build. The initial build for an in-ground pool will cost approximately $20,000 to over $100,000 depending on size, construction materials, your property’s soil conditions (pray you don’t have a lot of rock) and the quantity of bells and whistles you choose to add. With that kind of price tag, you are sure to wonder if you will get any return on your investment, besides obvious summer enjoyment. 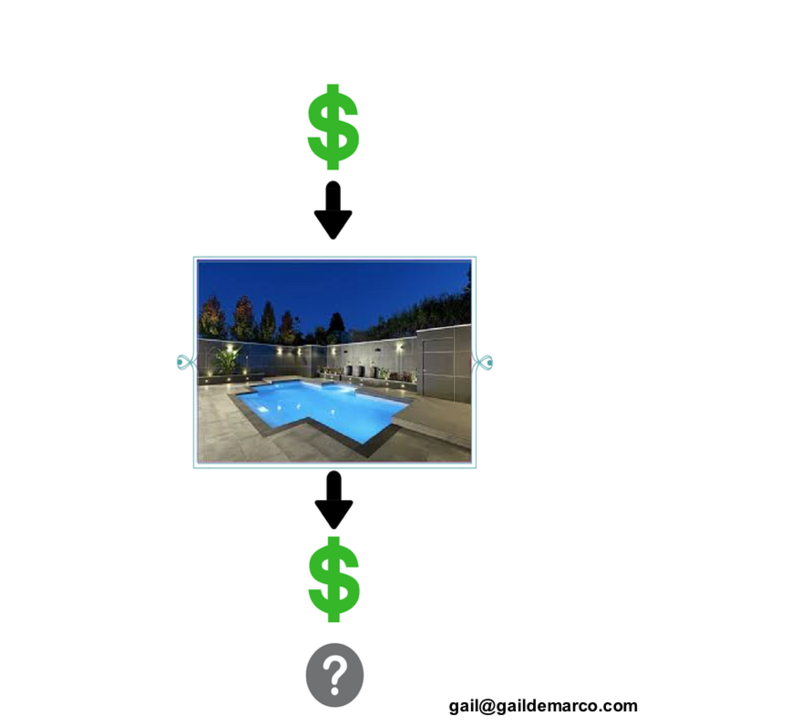 If you talk to any appraiser or real estate agent, they will tell you a pool will not return the money you invest. That is not to say it will not add monetary value to your home. How much value really depends on a variety of factors. And, as the world of appraisal and real estate are not an exact science, the weight of each factor can vary greatly. In general, the following are factors that can affect your return. If you live in a warmer region with a long swim season, like Sacramento as opposed to Vermont (maybe 2 months of swimming), a pool will add value to your home. In Vermont, it may decrease the value. The quality of construction for a built-in pool can vary from the reputation of the builder to the construction type. A fiberglass shell or vinyl liner pool is on the lower end whereas a gunite construction is a much higher quality and will add greater value to your home. Does the pool take up the entire yard or does it allow for other activities and seating? The quantity of additional features you add on increases the initial cost but does increase the return as well. Rock features, waterfalls, waterspouts, deck space around the pool, salt water, solar heating, spa, lighting, swim up bar, ect. Do you live in higher end neighborhood or one in which most homes have pools? I was told by an appraiser to take a look at an aerial photo of the neighborhood when determining if apool will add value. If a good majority of the homes have pools, it will certainly add value to the home due to the demand. On this note, adding a $50,000 pool to a home in Carmichael will give you much less return than adding a pool to a home in El Dorado Hills. An aerial photo of El Dorado Hills is heavily polka dotted with blue. Demand. If you do have the pool built, you definitely need to maintain it properly. A pool in disrepair at the time of sale not only will turn buyers away but will lessen the value it gives to your property. We can’t discount the individuality of the appraiser who assigns a market value to your home. Although most appraisers do all they can to give the most accurate value to a home, that value will still fluctuate due to a wide variety of factors from individual opinion to lack of comparable homes. In essence, a pool in a warm climate that is well maintained and built with good workmanship and materials will add value to your home. Will you get back every penny? No, but hopefully the years of enjoyment will make it an investment worth making. Help! My House Appraised Under Value! 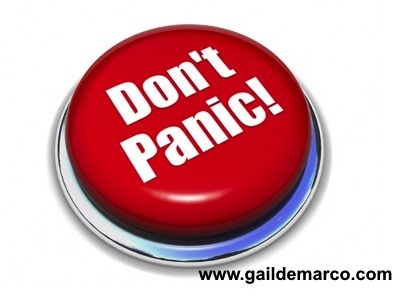 Do you ever feel that Real Estate is one big Panic Button moment? If you do, you have lots of company. The whole process from preparing to list a home to making an offer to your move date, can feel like you never know what is coming at you next. One of those hyperventilating moments can come at you with the appraisal report. It is now the end of February and inventory is still pretty low and sunny weather should begin, awakening the interest of many buyers and sellers alike. 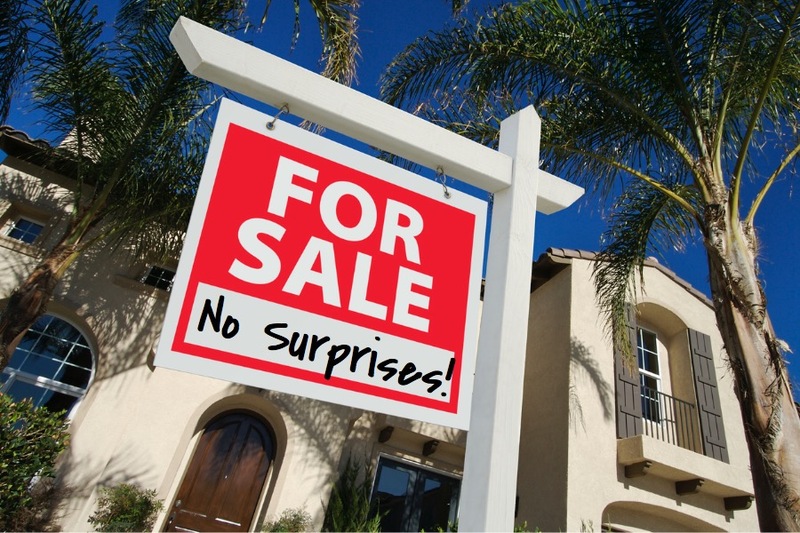 As a seller, you may find you have multiple offers, some over asking price. Conversely, as a buyer, you may find yourself offering full price or over asking. Doesn’t seem too bad, especially as the seller. But, here comes your panic button moment. The house appraises lower than the purchase price. Appraisals are ordered by the lender in an effort to protect the buyer and the lending institution. Remember, the property is collateral for the large chunk of change you are borrowing and the bank wants to make sure they can get that money back should you default. If you are a cash buyer, you don’t have to consider an appraisal. It is your money. But, if you are using borrowed money for the purchase of property, an appraisal is in your future. If the appraisal comes in under value, you have 3 basic options when dealing with conventional financing. Negotiate to lower the purchase price to bring the LTV down. This is usually the best and most common option. Increase your down payment to lower the LTV or come up with the difference in cash. Cancel the contract. The appraisal contingency in most residential purchase contracts allows for this option. If you waive the appraisal contingency, you are left with options 1 or 2. If you are using an FHA/VA loan you are limited to negotiating down to the appraised value, coming up with the difference in cash or walking away. If you have a very large down payment to begin with, the LTV was already very low and the appraisal may not be an issue. Therefore, as long as you haven’t waived your appraisal contingency, you have the option to walk away from the contract if a lower purchase price can’t be negotiated. It may be a sad end to what you hoped for, but at least there is an option. Panic Button averted (sort of).